Whatever integrates, upholds and sustains is dharma. Dharma fulfills not only your desires and goodness, it brings good to others. Dharma teaches us how to live individually and collectively without the chain reaction of karma. In this video Satsang Swamiji gives a broad overview of how to live the dharma—righteousness—as expounded by the Vedic sages: from spiritual lifestyle practices to the highest illumination. 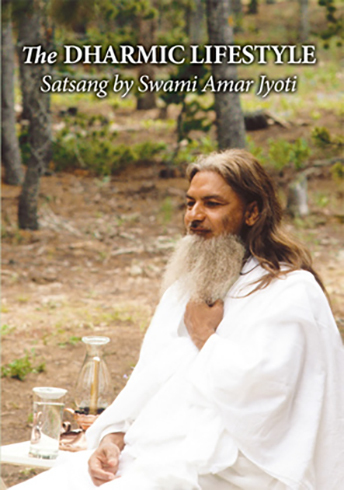 This DVD is the only full length live footage of Swami Amar Jyoti giving Satsang. The sound is not high quality but it has been mastered by Sound Lab to bring out the best possible audio. This Satsang was filmed in 1990 at Sacred Mountain Ashram. 94 minutes.